I am still catching up on all the posts but did finish watching all the episodes. Red Cry is an organization of 6 people apparently (H, H1-5). Does anyone have any idea who they are? EunHo, pschiatrist Dr Yoon, CWK’s stepmom are three. We are missing 3 more and the obvious, who is the leader? Out of 3, we need a computer genius. Judging from the last confrontation with Ji Hoon, has to be someone who has pretty good strength, is physically fit, and can street fight quite well. My mind keep thinking the organization would want to recruit someone who has a law enforcement background but is jaded about the system. I agree that different members carry out the violent act each time. It feels like once judgment is set on the board, someone would volunteer to do the act. Since the methods are personal and based on the members’ abilities, the crimes are different each time. Sometimes, it is more mind manipulation. Other, it is direct physical violence. The degree of punishment is a reflection of the members’ own history of abuse. For sure, we have a violent and deranged person who killed Hana’s dad. Ji Hoon’s character arc is wonderful, in how he learned to empathize with victims and especially his restraint and common sense when others around him have given into emotions. I think when everything has become muddled, like with this organization, it’s important to understand that fervor, vendetta, revenge have to balance with fair mindedness. Red Cry’s noble mission could only be sustained when everyone thinks alike thus it will only recruit same mindset people. I wonder if it would have done more good if the members balanced each other more. My gut instance said the members (H1-5) joined Red Cry due to a personal reason and stance. I am not sure if they approve of each other or know ahead of time how the other person would carry out judgment. Eun Ho doesn’t look like a violent person so I think he has no idea or even approve of the method. He may have joined with a noble intention to help the abused children. The fingers typing are his and you can tell he hesitated a little when he has to make the choice of taking on the case. All Red Cry members know the poem, all must have linked to the orphanage in the past. Why the need to use the poem to send the message at the scene aside from pointing out the victims’ crimes? The way the poem was left at the crime scenes differed too. Some are more subtle, some screamed out anger and look-at-me mentality like with Hana’s dad. Yes, I agree, CWK’s mother could be her own biological mother. CSK wanted to tell WK something that caused her seizures. She did flinch from the stepmother’s touch so is the stepmother the one who abused her or caused her accident? The only thing I can think is the cause is stepmother broke off the argument between the two girls, leading to the accident and feels guilty about the whole thing. In turn, held resentment toward her own dtr CWK and dotes on CSK. 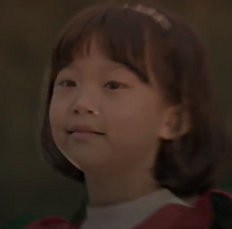 The little girl who plays Hana is adorable and fantastic. if indeed he is one who knows and despises what was done to him as a child, yet able to subjugate his instinctive need to destroy them with a subservient facade, until such time when he deems it time to finally mete out the punishment he believes they deserve. This is an interesting point. However, an abused child will not necessary plot the destruction of the abuser. Instead, he may be more likely to be desperate to win the abuser's approval. If an abused child is in isolation and knows he has to maintain silence, then it creates a very twisted atmosphere. The only love and approval he knows will be from the abuser, and he may become desperate to maintain what he sees as balance. There is an old saying: Better the devil you know than the devil you don't. This is very true for the abused who feel threatened; the abuser may be the only security that they know so the abused child will do anything to maintain the status quo. If LEH believes that he is "serving" the father of the director, then he may not see him as an object for revenge but as someone who is on his side in protecting the other children. A person who has lived with abuse and who has not escaped from it faces the world with a very warped sense of reality, and thus we cannot expect him to act in the way that an emotionally healthy person might do. The production company (Mega Monster) sent a food support truck to the staff. and another one from Lee Yi Kyung's fans. @bebebisous33 As usually I totally love your theories. Honestly it could totally be true but really hope that none of the children has been sexually abused. Or anyone. But thinking about this drama and theme it actually could be true. And about the Directors dad. If he isn't somehow involved why would they show him. @bebebisous33 Interesting theory yet again! We haven't seen sexual abuse in this drama (yet), so it would make sense that a case involving that type of abuse would be brought up. I just hope that they won't. Yes, I agree, CWK’s mother could be her own biological mother. CSK wanted to tell WK something that caused her seizures. She did flinch from the stepmother’s touc﻿h so is the stepmother the one who abused her or caused her accident? The only thing I can think is the cause is stepmother broke off the argument between the two girls, leading to the accident and feels guilty about the whole thing. In turn, held resentment toward her own dtr CWK and dotes on CSK. We saw another lady give CWK the green dress in a flashback. She looked like a warm and nice person, probably CWK's biological mom? At least I assume it was someone who gave CWK the dress before the stepmom came into the picture. CWK has been abused as a child - that is a fact. Remember the distressed pleas of forgiveness from CWK's side when she felt that she had done something wrong (they were visiting CSK I think)? She totally went into a state of a distressed child who is scared that she has done something wrong and is scared that the parent will punish her. What I found peculiar with the scene was the stepmom's cold reaction to the whole situation - no comforting words towards CWK. CWK is a warm loving mother and a warm loving carer of children in need. She hugs them and kisses them, comforts them all. The stepmom has shown NO warm feelings towards either CSK or CWK. Sure, she takes care of her step daughters and helps them, but there is no warmth in her touch. CWK learned to be a good mother from someone, and I still think that she learnt it from her biological mom. I think that the stepmom has abused or at least enabled some sort of abuse towards the kids, sorry to say. - the green dress was used for a happy event: a birthday and the red dress could have been used for a happy event too. Notice that Si Wan won the race and felt happy for a short moment. - the loneliness experienced by CWK and Si Wan: they see something that surprises them, scares them and they don't know what to do, how to react. From my point of view, these hallucinations are connected to a secret. They can be seen as signs of "conscience". Something is bothering them and their conscience... I do think that Si Wan knows more than CWK. Striking in that first scene is that Si Wan is shown without his parents. They are not present at the race, he is not hugged or kissed. So this indicates that his parents are neglecting him. In my opinion, Si Wan's case will be the trigger for CWK to unveil the truth and discover the secret in her family. But Ha Na and Bit Na are examples that children can feel love and warmth from another person that is not their mother. CWK hugged these girls, consoled them but she is not their mother. Ha Na came to love JH, although he was sometimes quite impatient and a little abrasive, yet she could sense his good intentions. That's why saying that CWK's stepmother can not be her real mother because she is so cold is not a good point in my opinion. The little girl could have received love from the one who offered her the green dress. The father can have also compensated the lack of affection from the mother as well. Whoever the killer is, he seems very off mentally. And that made me think of Ha Na--she was acting in the only way she knew because her history wasn't healthy. She is young enough that she has a chance to change. But the killer has matured into someone evil because that must be all he knows and it is too late for him to turn around. I would have to respectfully disagree with you on this last statement. Not that the killer isn't very twisted in his thinking, because he most certainly is, but if we're right about Red Cry being the way they are because of abuse in their past, then at one point, they were just like Bitna and Sora and Hana. They were a child once, too. A poor, abused, helpless child, who became the person they are in part because of the mistreatment they suffered that was inflicted by others. We can't blame Hana for burying the bird the way she did because she didn't know any better. Similarly, while obviously it's ultimately everyone's own individual decision to act in violent and destructive ways, how much of what Red Cry is doing is because of behavior that was modeled to him as a child or because his view on reality is so warped that he literally does not know any other way to go about solving his problems? Clearly, that doesn't make what he's doing right, but if we're correct in our assumptions about why he does what he does, then I think he deserves some measure of pity, at the very least. The tragedy of Red Cry is that no one was there for him the way our MCs are there for the children in the present day, that he wasn't removed from his abusive environment early enough to learn right from wrong and healthy ways of dealing with his trauma. And, too, hasn't this whole string of murders happened because Red Cry believes that it's too late for the abusive parents to change when clearly, that's not always the case? It wasn't too late for Hajung to realize how horrible she was being and attempt to repair the relationship she destroyed with her daughter. It even wasn't too late for Dog Farmer Dad to start actually stepping up and acting like the image he projected to the social workers and being an actual dad to his remaining child. I don't believe it's ever too late for a person to turn their life around and become better. Right up until the end, everyone still has that choice. Therefore, it's not too late for Red Cry as well. Now, he may believe it's too late for him to be saved, just like Hajung believed it was too late for her and decided to take her own life rather than try to fix things, and it may very well be that at this point, he ends up having to be put down because there's no other way to stop him. But wouldn't it be amazing if, instead of saying that some people - especially traumatized/mentally ill people - are just too broken and far gone to be saved, the narrative steps up and shows Red Cry that there is indeed a better way, a way to stop the cycle of revenge and violence for good, and he finds some measure of peace and healing before the end? To me, that would be a really powerful and hopeful way to end the series. But of course, that's likely just wishful thinking on my part, and we also ultimately have no idea what the writers have planned at this point, so I'm more than willing to just sit back and see what direction they decide to take things. This is just my current thoughts on the matter given the theories that are going around, you're all welcome to disagree with me as well. Actually I believe we have delved into sexual abuse, as hinted by LEH regarding his memories of a large desk in a room, the perpetrator of which I suspect to be the now-invalid Head Director, though if that were the case, it is strange that LEH remains so affectionate and loyal to the family. I think you are on the right track about LEH and the former director. It makes sense. And it would also make sense that LEH might continue to serve the person he believes to have power over him because it would give LEH a sense of worth and he might even believe that this is a way to protect the other children at the center. Oh God, that didn't even occur to me as a legitimate possibility for his backstory, poor Eunho. If that does indeed end up being the case, then I could definitely see how and why all the abuse cases seem to point back to the children's center, because that could be the original rotten root of the problem, so to speak, and Eunho could end up being the final piece of the puzzle to stop this abusive cycle once and for all. 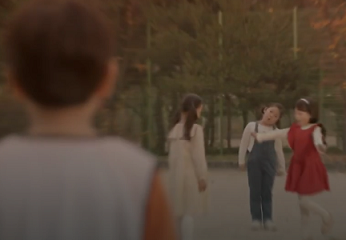 I do wonder, though, if the former director is that kind of despicable person, why Eunho seems so at ease watching him be around the other children at the center. One would think he'd be kind of on edge about it, but then again, if their relationship is as complicated as @thistlementioned it could be, then there could be deeper things at play here. Eunho could even be experiencing some kind of Stockholm Syndrome towards his abuser, who knows. I really hope we get more info about everything soon! Wednesday can't come fast enough. Ha Na came to love JH, although he was sometimes quite impatient and a little abrasive, yet she could sense his good intentions. Perhaps not "although" but because. The abused tend to seek out (even when they become adult) people who mirror the abuser. This is what the abused feel accustomed to, and they don't know any better. Feeling good or happy or loved can be very traumatic when a person is accustomed only to pain and humiliation. I really love seeing Ha Na with JH but I also feel a little uncomfortable. She is accustomed to being near an abrasive father, and JH can also be a bit abrasive (in a different way). It's great that Ha Na can be loving with CWK but Ha Na's relationship with her mother was only somewhat neglectful and not as emotionally abusive as what she knew with her father. Eunho's words about how hana's smile washed away his "dirty insides" was also v telling. I was under the impression it was a hallucination of his dead sister which was what prompted him to throw himself down the stairs and see if he would die. On another note, I've been paying attention to the drama posters. Hana was with Jiheon and the green dress girl with Wookyung. Idk who the ones with Eunho and Sooyoung were but Eunho's little girl is in a red dress too, and out of all the children, she was the only one smiling. Eunho's poster in general did not have the distress that the other characters had. I'm wondering if that girl will have something to do with his back story. Red Cry is an organization of 6 people apparently﻿ (H, H1-5). Does anyone have any idea who they are﻿? EunHo, pschiatrist Dr Yoon, CWK’s stepmom are three. ﻿We are missing 3 more and the obvious, who is the﻿ leader? Out of 3, we need a computer genius﻿﻿﻿. It's not just 6 people. The razorhead website could be accessed by multiple people but they will be given limited IDs of H1-5. There could be 10 H1s out there. It's impossible to know how many people there really are. That said, that truck driver who hit Seokwoo's mom must somehow be connected to it. It can't be a coincidence that she was sent poetry too. Which also solidifies that Eunho is into the website bec he was the only one who knew about the mother. Dr. Yoon may of course know of the story from Wookyung's consultations, but we have not seen her talk about meeting Seokwoo's mom with him at the time. I also doubt she would talk about how she lost herself and slapped the hell out of SW mom. I mean Dr. Yoon is her therapist but WK had been withholding information from him for some time now. Anyhow, regarding Siwan, since his case is being used as a bait for RC, I believe the subsequent (remaining) events will focus on his case, in addition to CWK-CSK case with little girl in green dress. 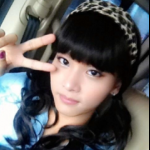 We've seen HaNa mirrored what her father did to her dongsaeng. What Siwan did must be mirroring what happened in his house too. One of the parents must've pushed his sister down the stairs. First he let himself fall, wanting to know what it felt like. Next, he pushed a friend down the stairs, wanting to know if that would actually kill. @loveseek630 Not sure if this was shared here before... but here is the making of the poster photoshoot, which shows CWK with the girl in the green dress; KJH with Hana; Soohyung with Seokwoo, the little boy CWK ran over; and LEH with Shiwan's dead sister. Can I say how much I love the camaraderie between the older actors and their younger co-stars, the way they care for them and in some cases, even adore them, really warm my heart? Speaking of BTSes, I don't seem to be able find much in terms of making videos for this drama. Can anyone please direct me to them if you know of any? Thank you! I just thought of something. Remember when Siwan asked Eunho what happened to the girl who used to draw with him? I wouldn't be surprised if Eunho lied about not knowing Hana, but Hana seemed to genuinely know him as just the sand man. What if the girl in the red dress was not Siwan's sister? What if it was another girl who lived in the center and used to color with Eunho? I wonder why did the person who handled the punishment of the dog butcher resorted to torture and eventually carved his back? It was gruesome (though I watched it with glee) and it's disturbing. Who highlighted Ha Na's case to the forum and eventually Red Cry? Who feed the information and facts to Red Cry before he finally takes action? Seriously, I can only think of LEH. There are many kinds of people in the world. And there are definitely some who looks nice and gentle on the surface but has another personality on the inside. But I hope I am wrong. As he could also be a victim for being at the wrong place and the wrong time. My memory is bad, please correct me if i am wrong. In the "judgement room", was it only Red Cry and the informant inside? And will punishment be discussed among the members? I remembered the case of the doctor who killed himself after burning the lady, was it Red Cry who left a comment on the post or something and the female detective did not get to see it? @mrsj3n From my understanding, cases are first submitted to the bulletin board. Then, Red Cry would invite the poster to a private chatroom to find out the details of the case, which needs to be supported with evidence of abuse. Only after the case is verified to be genuine, will it be escalated to the Judgment Room where members will debate and decide on the punishment. And yes, Red Cry posted a tribute to Park Yong Tae for the accomplishment of his great and noble mission, which JSY missed. Ha Na said that it was the same nice looking man that came after her dad. But did you notice that she was VERY frightened of him this time? The first time when he killed her mom she was calm, but this time she was very scared of him.... Why? Was he more threatening this time? Was it a different guy? I think Ha Na was frightened because of the terrible noise that wakes her up. She doesn`t understand what is going on. She did not see anything, the fight between Red Cry and her father. It is natural that she was terrified. She has already fallen asleep with fear, closing her door after her father, she came out just to call Woo-kyung as a means of survival. After Red Cry took her aside and she realised who he is, I don`t think she was still frightened. She described him to Woo Kyun and Ji Hun as the same nice man. I have been thinking about this for a while: so far, we have been confronted with children who were physically and mentally abused. But so nothing about sexual abuse. Sure, I think that SY has been sexually abused but it was just implied. I have to admit that when Woo Kyung talked about her father that he used to take Woo Kyung to his room but not Se Kyung, this idea came through my mind. But I felt guilty to had this thought. Her father could have been a nice man just like Woo Kyung described. I still don`t want to believe it is possible but, the terrible trauma that Woo Kyung went through, could be that terrible. How I have rambled. Suffice to say, scriptwriter DHJ is in excellent form and I am hopeful that this tightly woven tapestry of twists and turns will continue to wow us with its brilliance as she dangles hint after hint while slowly and surely fleshing out the characters with such finesse.﻿ PD Choi's direction and vision is outstanding with the little nuances we see in each scene... case in point being how the furious thought process of Red Cry during the chat with CWK is demonstrated without a single spoken word - simply by the poised and flexing of the fingers, as well as the decisive keystrokes as he types. Outstanding drama, and with 5 more hours left to go, I pray, pray we will see this level of excellence all the way to the end. Agree. I will watch the next project by this writer and I hope she will give us wonderful dramas in the future. It is wonderful too see a drama where the writing, directing and casting have been on pair with each other. I am still undetermined whether Ha Na was released home after the 3 month sessions were up, or on the condition that she accepts 3 months of counselling from YTJ. My initial impression is that GS﻿H's anxiousness to take Ha Na back is used as ransom to ensure he agrees to let Ha Na have 3 months' counselling first, as long as it is not with CWK - during which time she is given psychological counselling to try and delve into her dark secret, as well as given the means and training on how to call for help. I was confused as well. I also believed that Hana had 3 more moths untill her father will take her home with him. I think you are on the right track about LEH and the former director. It makes sense. And it would also make sense that LEH might continue to serve the person he believes to have power over him because it w﻿ould give LEH a sense of worth and he might even believe that this is a way to protect the other children at the center. I am sure we`ll find out more about Lee Eun Ho and his past. We have to know what happened to him because it is nesesarry for the flow of the narrative, IMO. The first thing I thought when I saw the old man was.... what he is hiding? I saw the director (a grown up man) in front of an authoritarian father but Lee Eun Ho seamed to apreciate the old man. But as you pointed out very well, the abused children "can be very loyal and even affectionate to their abusers." I want to know what is happening next. Btw about the posters, when it first came out I noticed that only LEH’s child is smiling, while others are in distress. I though it was probably because he’s the one to hang out with children and understand then while others don’t, but now we know that’s not the case. Other characters are good with children too. So now think maybe it’s because LEH is the one ‘returning them their smiles’ aka RC? He’s intriguing me more and more, I really hope we will get to see his story. WOW. Very perceptive as always. This first scene intrigued me because the boy also saw the girl. It was obvious that his parents are neglating him. After he wanted to experience his sister`s fall, it became more clear that he has a serious distress. I wanted to know more about him. The boy had a serious mental wound and his parents did not allow him to have a proper therapy. I wished we`ll see more about this boy story and I am glad that the writer is turning back to that case. Yeah, like you said, it is very possible that Si Wan`s case be the trigger for Woo Kyung to unveil her family secret. Not that the killer isn't very twisted in his thinking, because he most certainly is, but if we're right about Red Cry being the way they are because of abuse in their past, then at one point, they were just like Bitna and Sora and Hana. They were a child once, too. A poor, abused, helpless child, who became the person they are in part because of the mistreatment they suffered that was inflicted by others. We can't blame Hana for burying the bird the way she did because she didn't know any better. Similarly, while obviously it's ultimately everyone's own individual decision to act in violent and destructive ways, how much of what Red Cry is doing is because of behavior that was modeled to him as a child or because his view on reality is so warped that he literally does not know any other way to go about solving his problems? Clearly, that doesn't make what he's doing right, but if we're correct in our assumptions about why he does what he does, then I think he deserves some measure of pity, at the very least. The tragedy of Red Cry is that no one was there for him the way our MCs are there for the children in the present day, that he wasn't removed from his abusive environment early enough to learn right from wrong and healthy ways of dealing with his trauma. And, too, hasn't this whole string of murders happened because Red Cry believes that it's too late for the abusive parents to change when clearly, that's not always the case? It wasn't too late for Hajung to realize how horrible she was being and attempt to repair the relationship she destroyed with her daughter. It even wasn't too late for Dog Farmer Dad to start actually stepping up and acting like the image he projected to the social workers and being an actual dad to his remaining child. I don't believe it's ever too late for a person to turn their life around and become better. Right up until the end, everyone still has that choice. Therefore, it's not too late for Red Cry as well. Now, he may believe it's too late for him to be saved, just like Hajung believed it was too late for her and decided to take her own life rather than try to fix things, and it may very well be that at this point, he ends up having to be put down because there's no other way to stop him. But wouldn't it be amazing if, instead of saying that some people - especially traumatized/mentally ill people - are just too broken and far gone to be saved, the narrative steps up and shows Red Cry that there is indeed a better way, a way to stop the cycle of revenge and violence for good, and he finds some measure of peace and healing before the end? To me, that would be a really powerful and hopeful way to end the series. 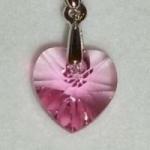 @cyan5tarlight Thank you for your thoughts on the matters of empathy and being able to change your life for the better. You really took the words out of my mouth. The people who have met me in other threads might know that I am a big advocate of trying to understand where people come from, even the people that would be classified as "evil" by others. All of the abusers, Red Cry and the people behind Red Cry have a background of huge psychological trauma. Are their acts justified? No. Can we judge them as people and decide that they should die? In my opinion, no. The truth is that they lack the tools soothe their own emotions and feelings, and how to understand people around them. That is because they weren't given the correct tools by their environment when they grew up. Instead they feel they have the right to judge the abusive parents and choose to punish them in a way they see fit. This is because they are all controlled by their own emotions, instead of the other way around. They feel so strongly about the acts of abuse that rage, sadness and fear fills them up. By "punishing" the abusers, they are punishing the people who did the same to them when they were kids. By murdering they try to find relief from the horrible memories and experiences they have. It's a means of trying to soothe their own feelings of sadness, rage and fear. But most of us probably know that these types of acts won't bring relief. The tools don't work because they will only bring temporary relief. The only way forward is to learn new tools by getting appropriate help. In my opinion, everyone should be given the chance to turn their life around and change. Unfortunately, not everyone of course will be able to change. Some poor souls are so damaged psychologically that there is no hope of change (e.g. clinical psychopaths or narcissists). Do we have the right to judge them, though? In my opinion, no, because these people did not choose to become damaged individuals. So, I do agree. It would be nice to give Red Cry the chance to find redemption too. click the link to further read.